One warm Saturday morning in October, people streamed down a hill to a boat launch on the Maumee River in Toledo, Ohio, to take part in a historic event. Adorned with “I love sturgeon” stickers courtesy of the Toledo Zoo & Aquarium, some gathered under a tent on one side of an adjacent parking lot to hear local dignitaries commemorate the occasion, while others visited a line of educational booths. But most took their place in a queue, dozens of people long, that curved between the two. This was the line to sponsor a fish. 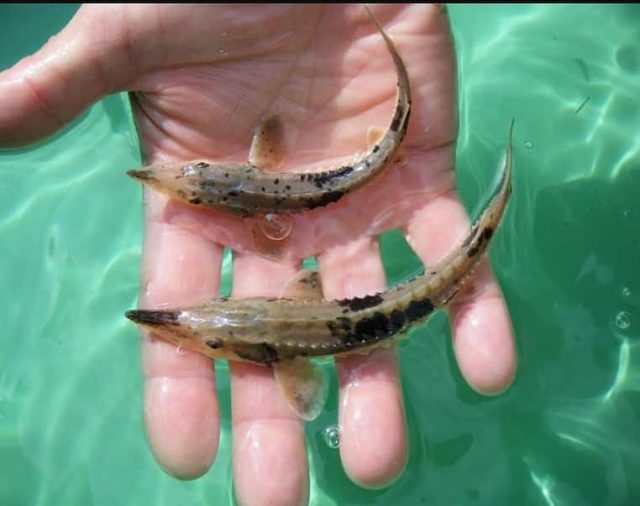 The piscine stars of the event, young lake sturgeon (Acipenser fulvescens) measuring about seven inches long, were part of an effort to reintroduce a spawning population of the species to the Maumee. 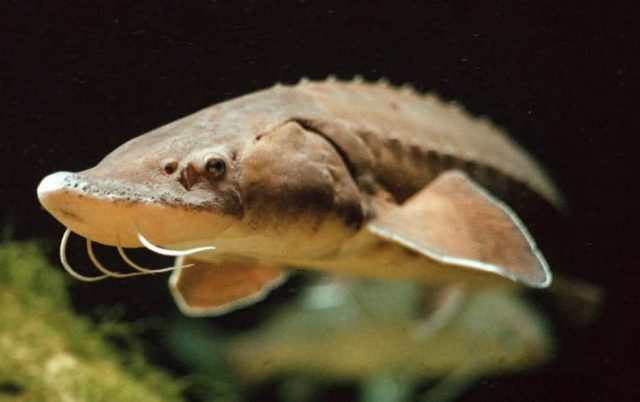 Lake sturgeon have changed little in the species’ 136-million-year history; spiky and whiskered, with a long, arched snout, the fish can grow up to eight feet long in their natural lifespans—which can exceed 150 years for females and 90 for males. While there are still some lake sturgeon in nearby Lake Erie, that population is a fraction of what it was a couple of centuries ago. Members of the species once returned to 19 tributaries to spawn; now they lay their eggs in just two. On this autumn morning, anyone with $25 to contribute to the fish’s rearing and other release-related expenses could help change that. The event marked the first-ever release of human-reared sturgeon into the Maumee—a milestone in a planned decades-long project that combines conservation, research, and public outreach. As fisheries biologist Justin Chiotti of the US Fish and Wildlife Service remembers it, public engagement was an important driver of the idea from its inception, which happened at a 2014 meeting where he and others involved with Lake Erie fish populations met in Ontario, Canada. That summer, toxic algal blooms in Maumee Bay, where the river meets the lake, had grown severe enough to render even treated water temporarily undrinkable for hundreds of thousands of people in the Toledo area, bringing water quality issues into the spotlight. Chiotti and other attendees came up with the idea of stocking lake sturgeon, a “flagship species” whose presence they hoped would, beyond its own value to conservation, increase awareness of water quality issues. Bringing back the sturgeon was “not as easy as saying, ‘Oh, we’re going to stock fish,’” Chiotti says. Population declines in the late 1800s and early 1900s were due not just to overfishing, but also to habitat degradation wrought by factors such as pollution and an influx of silt caused by deforestation. To find out whether the present-day Maumee River was a viable habitat for spawning sturgeon, the Fish and Wildlife Service worked with Jessica Collier, then a graduate student at the University of Toledo, to analyze factors such as the velocity of the water and the composition of the substrate beneath it. 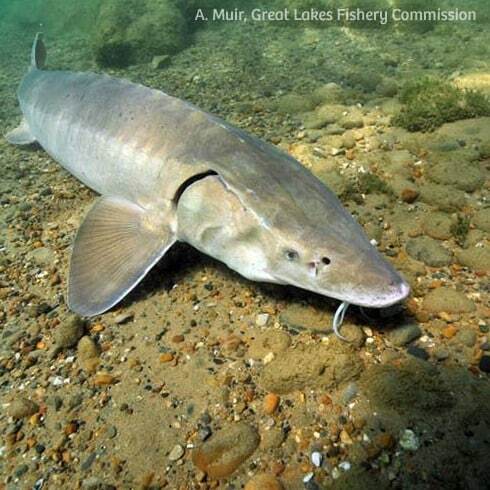 Collier found that about seven percent of the river between the Grand Rapids–Providence Dams and Lake Erie was good sturgeon spawning habitat. More than three times as much could be used as nursery habitat for hatchlings preparing to make their way into the lake. It wasn’t enough to confirm that the habitat was suitable, however. The researchers also wanted to know if juvenile sturgeon released into the river were likely to come back to spawn when they reached maturity—about 15 years later for males, 25 for females. That’s where the mass release of baby fish comes in. Lake sturgeon imprint on a particular river—likely based on the unique mixture of chemicals in its water—but it’s not known at which life stage they do this. To find out whether being reared from hatching in a river’s waters aids imprinting and therefore encourages the fish’s return as adults, the project team acquired thousands of fertilized eggs from a hatchery in Ontario last year. They sent half to a conventional fish-stocking facility in Wisconsin to act as controls. The other half went to Toledo, to tanks in a customized trailer near the boat launch where hatchlings swam in pumped-in Maumee River water and were cared for, streamside, by zoo staff for the next few months. Before release, each of the 3,000 young fish was implanted with a microchip—the same type used to identify lost dogs and cats—that will be scanned if wildlife officials recapture chipped fish during a survey, or find dead ones. A select few of the fish also received a pricey acoustic tag that will transmit their location if they pass near one of the more than 150 compatible sensors arrayed throughout Lake Erie and its tributaries, offering a less labor-intensive and more informative picture of what a fish is up to. 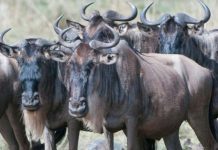 The dual-location rearing and annual releases will continue on the Maumee for 15 to 20 years, says Kent Bekker, the zoo’s head of conservation and research. But it will be decades before he, Chiotti, and Eric Weimer, a fisheries biologist at the Ohio Department of Natural Resources, know whether they’re succeeding in enticing fish back to spawn in the Maumee, much less whether the streamside rearing—a more expensive option than traditional hatcheries—makes a difference. “For years and years, we’ve monitored declines of these freshwater fishes . . . and it’s really kind of radical . 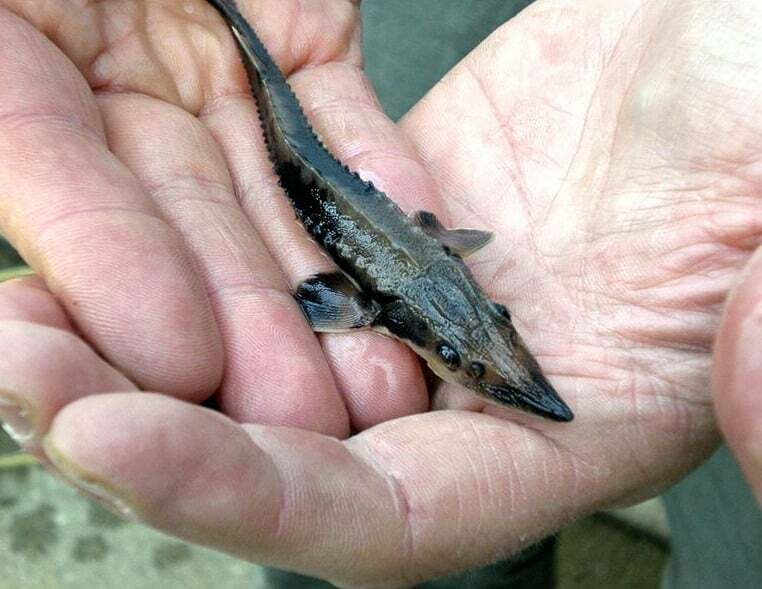 . . that we’re finally now doing something to restore these fish,” says Trevor Pitcher, a fish biologist at the University of Windsor in Ontario whose lab tested the effects of acoustic tags on juvenile sturgeon, but otherwise has not been involved in the Maumee River project. “This is a great test case, not just for sturgeon but for all species at risk in terms of the Great Lakes, to see what’s possible.” Other streamside rearing and reintroduction efforts are already gearing up along US and Canadian tributaries of Lake Erie, he says. Streamside rearing of sturgeon for release has also become the default on nearby Lake Michigan, says Corey Jerome, a fisheries biologist with the Natural Resources Department of the Little River Band of Ottawa Indians who heads an effort by the tribe to bolster the population of sturgeon spawning in the Manistee River in Michigan. That project first released fish in 2004, and it’s not yet clear whether it will be successful. Based on chipped fish that wildlife agencies have caught and scanned in Lake Michigan, and one that returned to the Manistee last April, “we know our fish are out there growing,” Jerome says. Whatever the results of the Maumee imprinting study, Pitcher predicts the success of the reintroduction will hinge on ensuring the river’s waters remain hospitable to would-be sturgeon parents. Citizen engagement is “an important piece not just for them helping us monitor the fish in the river, potentially, but also their advocacy for the river’s health,” he says. Back at the Toledo boat launch, children gathered around a low black tub near the sponsorship table to get a glimpse of the young sturgeon, held up for them by a teen volunteer. Nearby, sponsors paid and each received a small white bucket holding one sturgeon in a few inches of water. One by one or in small groups, they walked to the end of the dock and carefully tipped the fish into their new home. JohnZ, Hopefully they will start to be seen again. When looking at one you instantly think prehistoric and the sizes that they used to reach were phenomenal. I guess they found one in Volga estuary, in the 1800s, that was 24 feet long and weighed almost three and one half thousand pounds. I am wondering about the state of the sturgeon in Russia since they are used to obtain caviar. I do not think that the caviar producers is the species that we have in the U.S. Although caviar is just fish eggs. Also, when you realize the size they could have reached and what they would have looked like if they came to the surface, there would be Loch Ness sightings, right? In some lakes in Michigan, especially the Upper Peninsula, Sturgeon remain. Torch Lake, located in northwest lower Michigan also used to have sturgeon. None have been seen for a long time.